NASA has selected a first-of-its-kind Earth science mission that will extend our nation's lead in measuring key greenhouse gases and vegetation health from space to advance our understanding of Earth's natural exchanges of carbon between the land, atmosphere and ocean. "The GeoCARB mission breaks new ground for NASA's Earth science and applications programs," said Michael Freilich, director of the Earth Science Division of NASA's Science Mission Directorate in Washington. 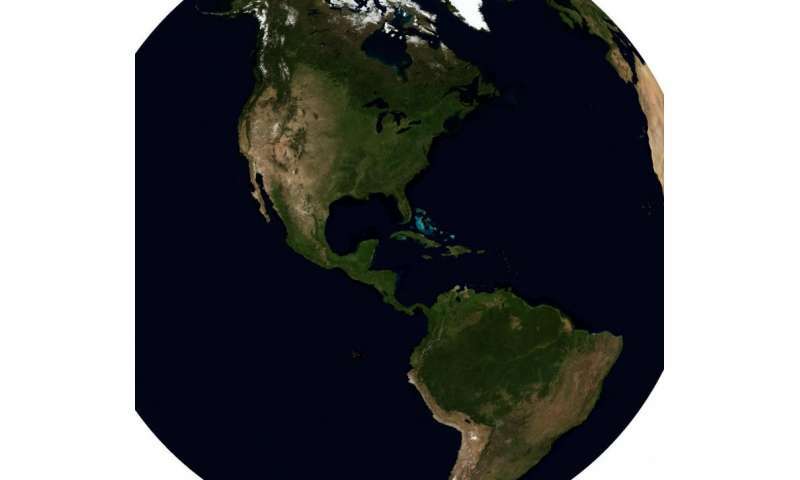 "GeoCARB will provide important new measurements related to Earth's global natural carbon cycle, and will allow monitoring of vegetation health throughout North, Central and South America." The University of Oklahoma-led GeoCARB team will build an advanced payload that will be launched on a commercial communications satellite, employing otherwise unused launch and spacecraft capacity to advance science and provide societal benefit. By demonstrating GeoCARB can be flown as a hosted payload on a commercial satellite, the mission will strengthen NASA's partnerships with the commercial satellite industry and provide a model that can be adopted by NASA's international partners to expand these observations to other parts of the world. Mission partners include the Lockheed Martin Advanced Technology Center in Palo Alto, California; SES Government Solutions Company in Reston, Virginia; the Colorado State University in Fort Collins; and NASA's Ames Research Center in Moffett Field, California, Goddard Space Flight Center in Greenbelt, Maryland, and Jet Propulsion Laboratory in Pasadena, California. The Earth Venture program selects new investigations, at regular intervals, to accommodate new scientific priorities using cutting-edge instrumentation carried on airborne platforms, small space missions, or as secondary instruments or hosted payloads on larger platforms. NASA's Langley Research Center in Hampton, Virginia, manages the ESSP program for the agency's Science Mission Directorate.